Guys, I really gotta work on getting a post out on time. Sorry, 'bout it. Make sure you keep checking out my FITNESS calendar for September. I'm finding some fun workouts I'm ready to try! Last night I had a dream that I was in London. I don't remember all about the dream, but I do know that at one point I found myself on a side street looking up at the London Eye. So, if I was able to take off three months from my life now and do anything in the world, I would totally travel. I would choose 3 places and spend one month in each place. Here are 3 places that I would love to travel to and see. If you could take off 3 months and do anything in the world you wanted, what would you do? 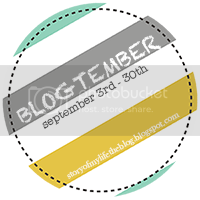 This post is part of Blogtember!